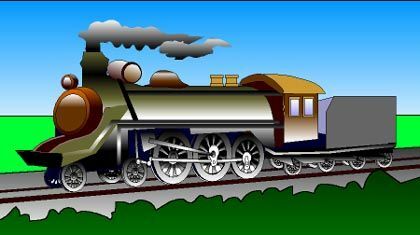 Home Science for Kids 5 Ws & H How Does the Steam Engine Work? How Does the Steam Engine Work? 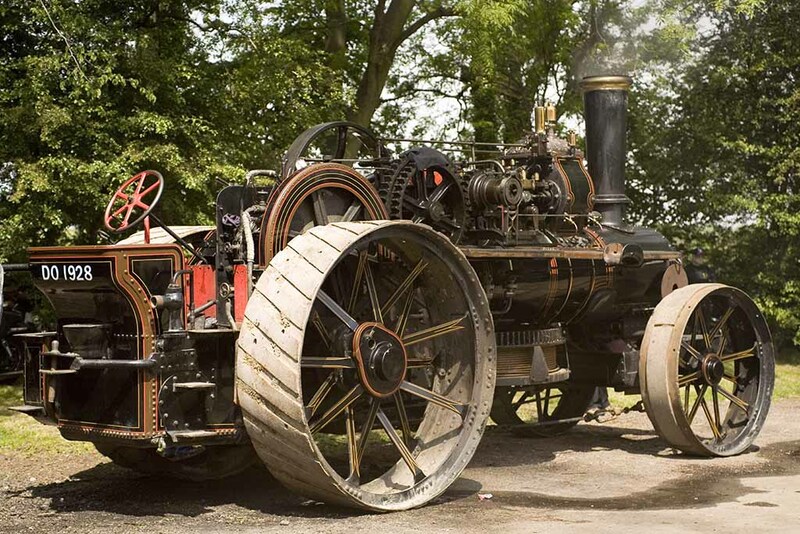 In 1804 the first steam-powered engine ran, carrying some iron in Wales, in Britain. But it was almost twenty five years later, in 1829, that George Stephenson, a British engineer, designed the “rocket” that paved the way for railways all over Europe, Asia and America. The steam engine is an example of a heat engine. Heat engines are those that convert heat energy into mechanical work. Heat engines are of two types: external combustion engines and internal combustion engines. In an external combustion engine the fuel is burned outside the cylinder that produces power. In an internal combustion engine the fuel burns inside the cylinder. A steam engine needs steam to get it going. Coal from a coal tender is fed into the firebox where it is burnt at a temperature of 1400 degree C. This heat is used to turn water, also stored in the tender, into high pressure steam. This high-pressure steam energy is made to pass from the boiler to the steam reservoir through steam pipes. A slide valve in the piston opens and shuts two steam ports, alternately. This ensures that the steam passes through alternate ports. The piston is connected to a drive wheel. When the steam enters into the slide valve, it pushes the piston to the right and turns the wheel. The left valve closes and the right valve is opened letting in steam on the other side of the piston. At this instant, steam entering this valve pushes the piston to its left and drives the wheel to a complete circle. This process goes on repeating and drives the train forward. The heavy drive wheel is fixed to the crankshaft of the engine. A speed governor regulates the speed of the engine. In certain engines some of the steam that has passed through the piston and is still hot is used to re-heat some of the cold water before it enters the boiler. The rest of the spent steam billows out of the chimney. Today, most of the functions of steam engines have been taken over by internal combustion engines fueled by diesel which in turn are being replaced by the more ecologically sound electric engines.